The 5th meeting of the Group of Copenhagen (the network bringing together 21 national platforms—as per article 13 of the Convention—that are either up and running or under development), was held in Bruges on 4-5 December 2018. The Agenda included a discussion on an action plan of the Group of Copenhagen , discussions on the KCOOS+ project, updates from national platforms and also a case study on sharing of alerts with GLMS. GLMS President, Ludovico Calvi, attended the meeting, presenting the key GLMS strategic priorities, the new system, as well as the upcoming further globalisation of the GLMS with the opening of the new hub in Hong Kong in January. Ludovico also discussed the benefit of sharing alerts among GLMS and the Group of Copenhagen. 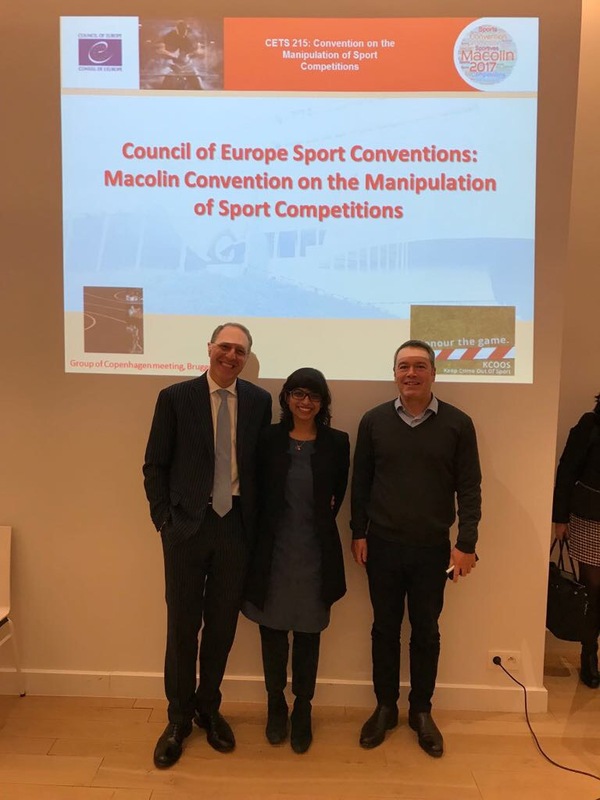 Along with Friedrich Martens from the IOC, Ludovico was the only external stakeholders invited. Ludovico Calvi stated “I am delighted to see the network of Group of Copenhagen being further expanded with more national platforms and I really appreciated the tremendous commitment by members and their outstanding competence in the subject. I hope more states will proceed to setting up a national platform and eventually join the Group of Copenhagen. GLMS – thanks to its upgraded system, but also its years of experience and expertise - will be a strong supporter and ally of the Council of Europe and the Group of Copenhagen and I look forward to our on-going cooperation”.